STATE OF CALAMITY : Declared in 9 Metro Manila, Luzon areas. 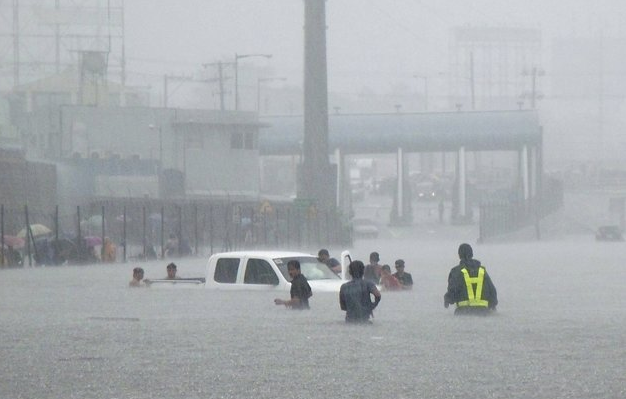 Nine areas in Metro Manila and other parts of Luzon struck by massive flooding due to non-stop rains have been placed under a state of calamity. Cainta and San Mateo in Rizal province. It would allow the release and use of emergency funds, especially for rescue and relief efforts. The government have a say and can also control the prices of basic commodities. Price control is automatically imposed when an area is in a state of calamity so traders cannot take advantage of the situation. To ensure that basic commodities, including sardines, noodles, rice and sugar are being sold within the suggested retail price (SRP) a price monitoring team will be deployed by the government especially at flood-hit areas. Traders who sell above the SRP will be asked to explain and there will be penalties if the price increase is unwarranted. In case, you encounter an establishment selling above the SRP, please file a complaint at DTI offices in your area. Nice blog and Nice information I hope in future you will tell me more things thank you dear.